If you're looking for a place in Lanzarote where the whole family can enjoy a day frolicking in the water and getting their thrills in wave pools and waterslides, then Aqualava Waterpark is the place to be! Who is the Aqualava Waterpark best suited to? What to wear to Aqualava Waterpark? Situated in the Relaxia Lanzsur Club apartment complex in Playa Blanca, Lanzarote, Aqualava Waterpark provides you with a unique opportunity to indulge the whole family in thrills, fun and relaxation. It's home to more than 70,000 square metres of incredible attractions and rides, as well as beautiful natural gardens. Aqualava Waterpark is also the newest waterpark attraction in Playa Blanca and is fast becoming one of the most popular due to its impressive facilities such as waterslides, chill out zones, lazy rivers and splash zones. The Aqualava Waterpark is also a homage and tribute to the wonderous natural beauty of Lanzarote and its plentiful volcanoes and elusive sea creatures; giving the waterpark a unique and fun theme for the whole family to appreciate and enjoy. The pools and water slides in Aqualava Waterpark are heated by geothermal energy. The wave pool has a unique beach theme to make you feel rested and relaxed while still enjoying the thrills! Aqualava's in-house photography system means you can take home personalised pictures of your time on the rides. There's Wi-Fi available throughout the Aqualava Waterpark. Residents staying in the Relaxia Lanzsur Club apartments receive free access to the waterpark for the duration of their holiday in Lanzarote! Aqualava Waterpark is the only waterpark in Lanzarote that is home to a wave pool with salt water. Full bus service available from Puerto del Carmen and Costa Teguise every Monday, Wednesday and Friday. Aqualava Waterpark is one of the most affordable waterparks in Lanzarote, with a child ticket starting at €12. The park is open all year round from 10am. You can purchase a yearly passif you're a resident; and you can visit the waterpark as many times as you like over the course of the year! Aqualava Waterpark is best suited to families of all ages. There are plenty of facilities for children of all ages; all the way from tiny babies who will enjoy lounging in the baby pool with their parents, to moody teenagers who will be convinced to leave the apartment when they see the facilities at Aqualava Waterpark! As well as plenty of adrenaline fuelled rides and facilities, there are also numerous "chill out" zones situated throughout the complex where parents can recline on a deck chair and enjoy a refreshing drink while keeping an eye on the kids frolicking in the water nearby. There are numerous incredible rides and attractions located throughout the Aqualava Waterpark, take a look at some of the very best below! Everything you'll find in the Aqualava Waterpark is ideal for children and adults of all ages and is kept to an incredibly high standard of cleanliness and the slides, pools and chill out zones are all well-maintained. Aqualava Beach is home to the salt water wave pool where you'll be able to float and relax, as well as enjoy splashing around and jumping in the waves. The salt water wave pool is also entirely unique to Lanzarote, so you're getting a real treat when playing and swimming in the sea-like water! Corsair Bay is home to two main waterslides; the AquaRamp and TimiSlide. It's also the perfect place for little ones to enjoy as the shallow water has been adapted to accommodate younger children. There's also a giant octopus feature that resides in Corsair Bay so be aware of it dropping huge amounts of water on top of you at the most unexpected moments! Inside Corsair Bay, you'll also find a water-based castle complex where young ones can ride down the slides and cause a splash in the water below. Also known as El Rio Lento, the Magma River can be navigated using the double or individual floats inside Aqualava Waterpark. The floats are included as part of your entrance ticket price and you're sure to enjoy leisurely winding your way around the giant river, complete with hidden twists and turns, bridges and cave-like surroundings. The Timan Fire area of Aqualava Waterpark is home to five adrenaline-inducing waterslides including Aqua Tube, Aqua Slide, Aqua Owl, Aqua Hole and Aqua River. Each of these five slides have a minimum height requirement of 1.20m and all come with their own individual twists and turns. Each slide results in a mighty splash into the collective pool at the bottom, where you can jump straight out and head back up again! While these areas aren't rides or attractions themselves, they do provide you with the opportunity to relax and unwind in the Spanish sun, all the while keeping an eye on the kids, without having to be in the middle of the slides, rides and attractions yourself! During your time at Aqualava Waterpark, you're likely to come across the professional in-house photographer who will help to capture the special moments of your time in the park. Aqualava Waterpark is open all year round. Attractions and rides at Aqualava close 20 minutes before the park officially closes. Like many other waterparks in the Canary Islands, Aqualava Waterpark is mostly in open air with very little shelter and cover. As the summer sun can be incredibly harsh and temperatures soaring into the 30s, it's imperative that you stay safe and protected from the sun when visiting Aqualava Waterpark. Make sure your kids are well protected with plenty of sun cream, sun hats and even swimming costumes that cover their shoulders, back and chest where possible to avoid them being exposed to direct contact with the sun rays. Boys and men can opt whether to wear a swim shirt or not, but if you're visiting in the height of summer, it's often recommended that you keep yourself as protected from the sun as possible. While Aqualava suggests you cover up when possible, you must only wear appropriate swimming materials and not just outside clothing. It's also advisable to wear flip flops when walking around the Aqualava Waterpark complex as the sun can get unbearably hot on the floor. While you can't wear shoes of any kind on the rides themselves, you can leave them at the bottom of the waterslide for you to collect at the end. Accessories and miscellaneous items such as sunglasses, hats, watches, bracelets, earrings or necklaces are not permitted to be worn when riding the slides at Aqualava Waterpark. Furthermore, while armbands are required in the swimming pools and lazy river for non-swimmers, floating devices and aids are not to be worn on any rides in Aqualava. When visiting Aqualava Waterpark, you're not permitted to bring your own food or drink. However, fear not as the waterpark is home to the Timi Kitchen Restaurant where you'll find plenty of live cooking and a varied buffet full of sweet and savoury delicacies. The type of food you'll find in the Timi Kitchen Restaurant is simple (but still incredibly tasty!) and includes the likes of hot dogs, pizzas, fresh salads and a variety of sandwiches. The Timi Shop at Aqualava Waterpark is where you can purchase souvenirs of your time at the waterpark so you can remember the trip of a lifetime! The store also sells a vast range of delicious ice creams, ice lollies and fruit juices to keep you refreshed and hydrated throughout the day. Pick up your very own Aqualava Waterpark mascot, TIMI! When purchasing your tickets to Aqualava Waterpark, you need to decide whether you want a single admission ticket for one day, or for one or two weeks (depending on how long you're staying in Playa Blanca). "The water park is good fun." "My kids are 9 & 10 so could go on everything without restrictions- they really enjoyed the day." "Kids had a good time." "The water was salty but unique and fun!" "The waterpark was so much fun for the whole family." "We had an amazing time in Aqualava Waterpark." If you're staying in Playa Blanca, then Aqualava Waterpark is remarkably easy to get to. There's free car parking facilities on site (if you've rented a car for the duration of your holiday), and there's also many bus routes you can use too. While it's entirely possible to spend a full day at Aqualava Waterpark, many families suggest visiting between the hours of 3-5pm when tickets to the park are half price. If you have small children especially, two hours is plenty of time to enjoy the waterpark. The pools are advertised as heated but if the sun isn't shining or it's a cloudy day, you may find the water to feel a little cold. While adults and older kids shouldn't have too much of an issue with this, young children and babies may get colder much quicker if it's an overcast day when visiting Aqualava. The salt water wave pool and lazy river are the most recommended things to enjoy for the whole family in Aqualava Waterpark as you can spend time together as a whole family enjoying the facilities. Many families recommend using the in-house photographer to snaps timeless pictures of the kids and whole family together so that you can have a souvenir to remember your time at Aqualava Waterpark forever! 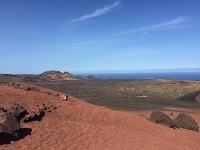 A bus service runs from Puerto del Carmen and Costa Teguise every Monday, Wednesday and Friday. So, if you're not staying near to the waterpark and you're unsure of how to get there, make sure you check out the bus times on these days! You're not permitted to bring your own food and drink in to the Aqualava Waterpark However, there are plenty of on-site facilities for you to stock up on food and drink throughout the day. It's especially important to stay hydrated at all times, as the Spanish sun can get incredibly hot during the day. When visiting Aqualava Waterpark, especially during the height of summer, you'll likely find yourself queuing for numerous rides throughout the day. Therefore, you should consider purchasing fast-track tickets to some of the waterslides and rides so that you don't have to spend a long-time queuing. If you don't plan to use the chill out zones in Aqualava Waterpark and the whole family will be using all the rides and attractions, then it's a good idea to rent out a locker for the day. They cost €4 with a deposit of €2 and you can use them to store your belongings all day while enjoying the waterpark without worrying about the safety of your belongings. The height restrictions on the rides and waterslides in Aqualava Waterpark are there to protect your children and are strictly enforced by the staff at the park; if you don't meet the height requirements, you won't be permitted to ride the slides. Most of the rides require a minimum height of 1.20m. The children's slides and area in Corsair Bay don't impose any height restrictions, providing that children are attended to at all times. The best time to visit Aqualava Waterpark would be during the month of May as you'll still experience lovely, warm sunshine and average temperatures of 25ºC, without the swarms of tourists and holiday makers as the schools won't have finished for the summer holidays by then. If you're staying in Playa Blanca for a few days, you'll want to make sure you make the most out of your time there by experiencing everything that it has to offer. Take a look at the list below which includes more information about the other things nearby Aqualava Waterpark that you can enjoy while in Playa Blanca. Marina Rubicón is the largest tourist centre in Playa Blanca and is home to a plethora of different activities that the whole family can enjoy. From water sports activities such as diving, snorkelling and swimming to more adventure-based activities such as paragliding and sailing, Marina Rubicón has it all! The Museo Atlántico is an underwater art gallery that features many fascinating sculptures, 12m under the water! The museum is creating a large artificial reef formed by numerous sculptures that are made from neutral pH concrete with the intention to increase marine biomass over time! While it all sounds a little technical and scientific, the Museo Atlántico is worth a paying a visit as it's fascinating to see the sculptures. If you're looking for a more relaxing day after an action-packed, adrenaline fuelled session at Aqualava Waterpark, then head to the nearby white-sand beach of Playa Flamingo. Here you'll enjoy the beautiful promenade, stunning ocean views and a sunbathing terrace. Castillo de las Coloradas is a small 15th century castle complex in Playa Blanca and while it's probably not the most intriguing thing to do in Lanzarote, it is still worth a visit. Pechiguera lighthouse is a tall, active lighthouse in Playa Blanca and is just a short distance from Aqualava Waterpark. You can head to the top and admire the views across the ocean. A visit to the Playa Blanca region of Lanzarote wouldn't be complete without spending the day in the newest addition to the waterpark scene; Aqualava Waterpark. At the waterpark, you'll find a plethora of fun activities and facilities to suit the whole family, including the Magma Lazy River where you can float around on single or double rubber rings. 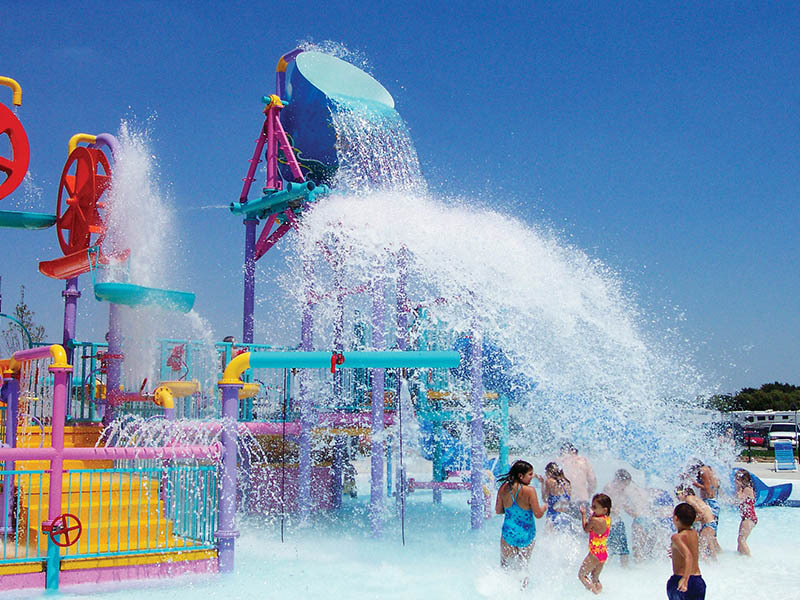 You'll also get to splash around in Corsair Bay or ride one of the five waterslides in Timan Fire! However, you spend your day at Aqualava Waterpark, you're sure to have the time of your life!